Ready for the best March Madness Watch Party of the year? We are! 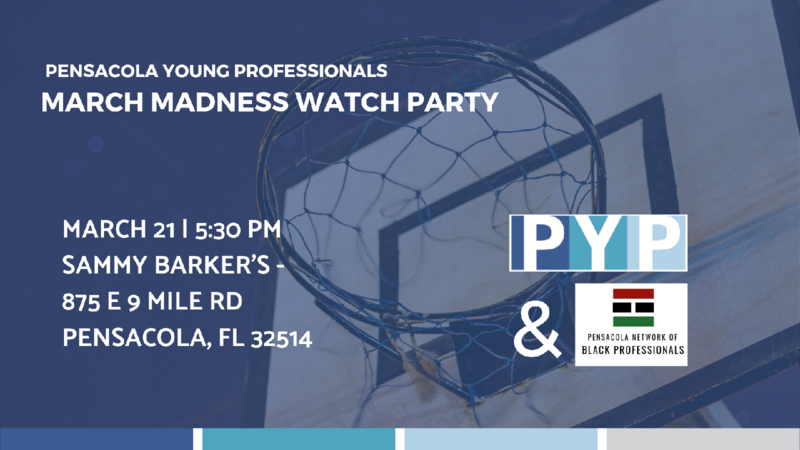 Join PYP and the Pensacola Network of Black Professionals at Sammy Barker’s on March 21. Throw your favorite jersey on, bring the business cards and be ready for some fun networking!